Do you ever get that feeling that you’re missing out on something? Maybe others know about it, but they’re not letting you in on the secret? Anxious, paranoid? Cognitive dissonance? Craving answers but unable to frame the question? Having difficulty processing the concept of unknown unknowns? Life will do that to you and, when it does, you need friends to point you in the right direction, to set you on the right path. 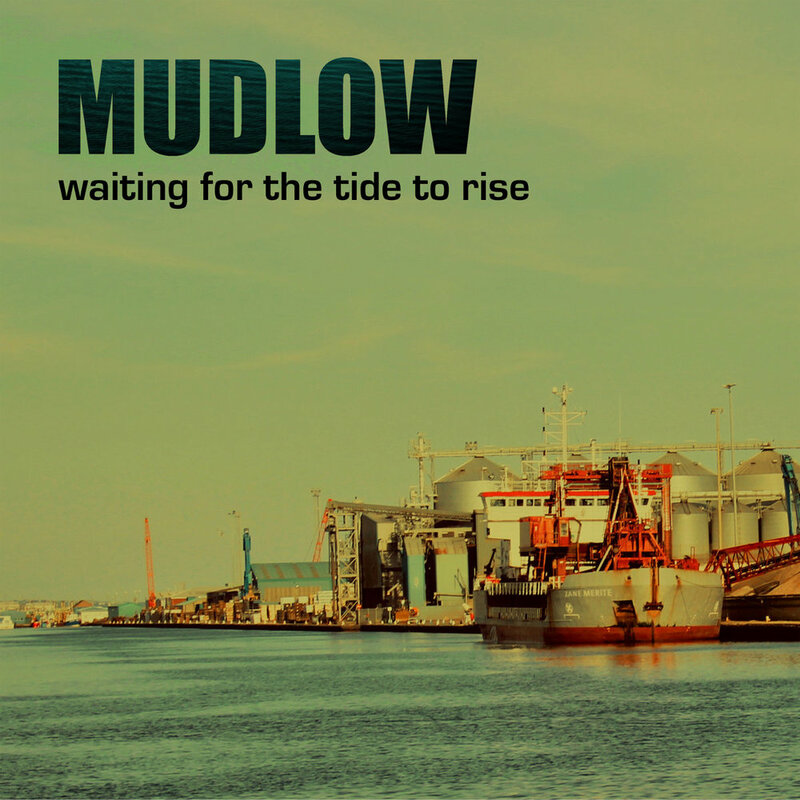 If it could be considered grandiose to suggest that Mudlow’s Waiting for the Tide to Rise offers a solution to all your worldly worries, certainly here is an album that will take your mind off your money, leaving you wondering if those disturbed feelings were justified after all. The album opens with Down in the Snow, recorded in 2004, showcasing where Mudlow were at when they first formed, rising , phoenix-like, from the ashes of rockers Craw Limbo. A slice of dirty garage r&b replete with a horn section to strip to and a bassline to grind you into the floor. For music based on such a familiar formula to feel so dangerous and vital is exciting, sounding as necessary today as it must have when it was recorded fourteen years ago. Music doesn’t go bad when the quality of the ingredients is this high. Track two, Drunken Turkey is from the same period as the opener, slowing proceedings with a loping blues that will bloody your nose with a tale of rusty buckets and headstones. The next two tracks are from 2012 and the band has slimmed down, but there’s still some sax grunting away in the background on Damn Your Eyes. The Jester slows things down to a waltz-time for Tobias’s tormented soul balladry. Stubb’s Yard is from 2015 and sees the band as a three piece, embracing their core identity and bringing the gumbo rock groove (this is the first Mudlow track we played on the Whiskey Preachin Radio Show, back when it was released on the Minnesota Snow EP). Snowhill Farm closes out side one of the LP, all acoustic guitar and Tobias’s plaintive evocation of loss, landscape and memory. Oh, and don’t worry, you’re not going mad, it is a crazy ole world out there. Just remember, you’re not alone, Whiskey Preachin love you and Mudlow are digging your grave. Sweet dreams.